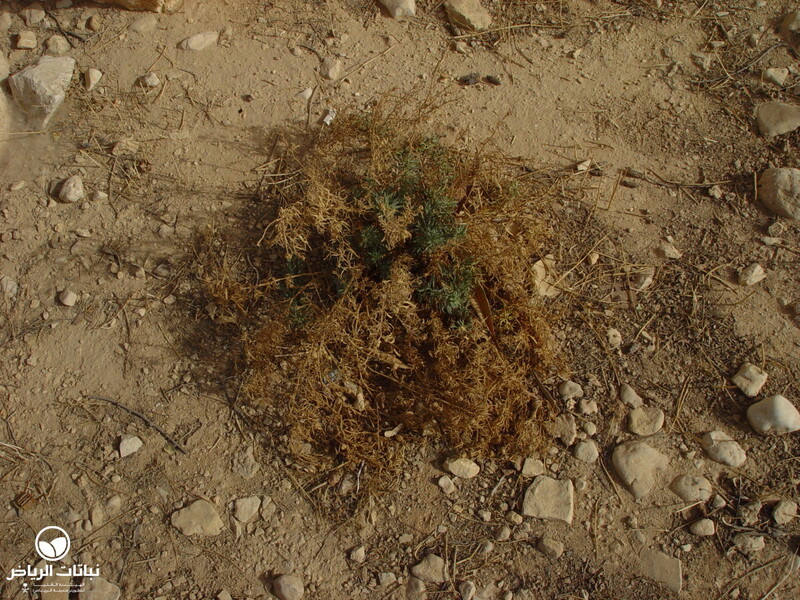 Reseda muricata is distributed on the Arabian peninsula and the Middle East. In Arabic, it is called dayl al kharouf. In Saudi Arabia, it can be found along the West Coast, Hejaz and on the East Coast up to the central regions. 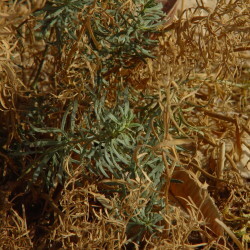 Reseda muricata is a perennial, biennial and in some regions only annual herb. 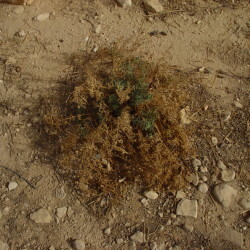 It is a fairly fast-growing plant and looks like a dwarf shrub. It reaches a height of 40 cm and a spread of up to 50 cm. The lower leaves are entire lanceolate, while the upper leaves are ternate. The foliage is grey-green. Flowering begins in summer, with long yellow-whitish racemes about 10 cm long. The individual flowers are 4 mm in size. The fruits are capsules with serrated pits. The root system is lateral and deep. Propagation can be done by seeds. 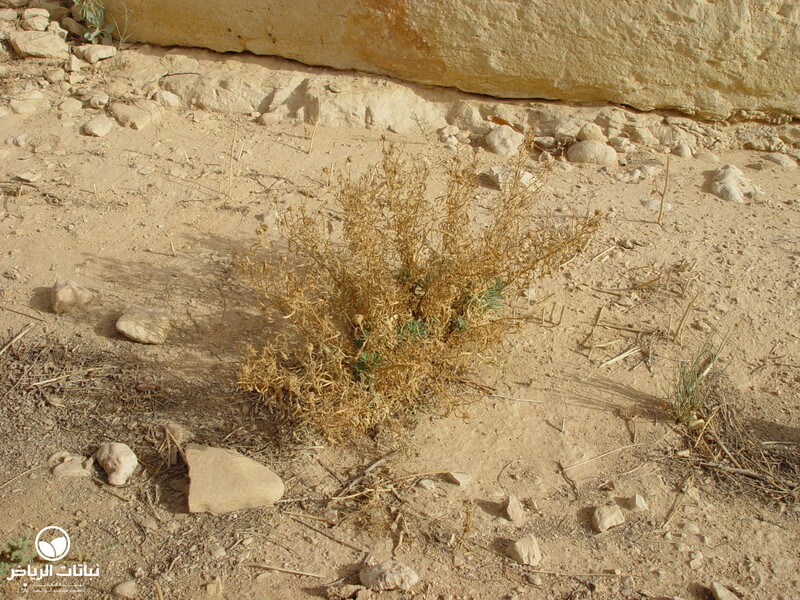 R. muricata is an indigenous plant and is very well adapted to harsh desert conditions. 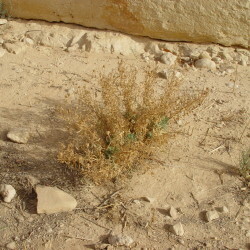 The herb is highly salt-tolerant. 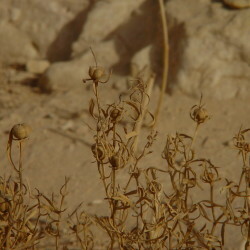 Maintenance requirements are very low after establishment, and irrigation will improve a good development of the plant. The use of dayl al kharouf in landscape design can be seen in the rehabilitation of natural plant cover, which means it can be considered for open country, as a coloniser or slope stabiliser, and for environmental consolidation. 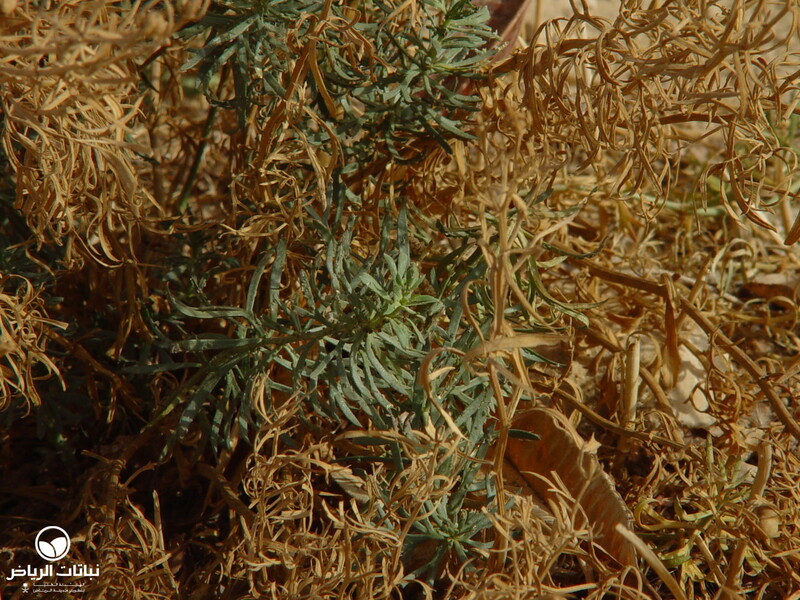 Reseda will grow as a groundcover and as grouped planting. And even for natural garden themes or parks like Wadi Hanifah, it will provide a pleasing display. 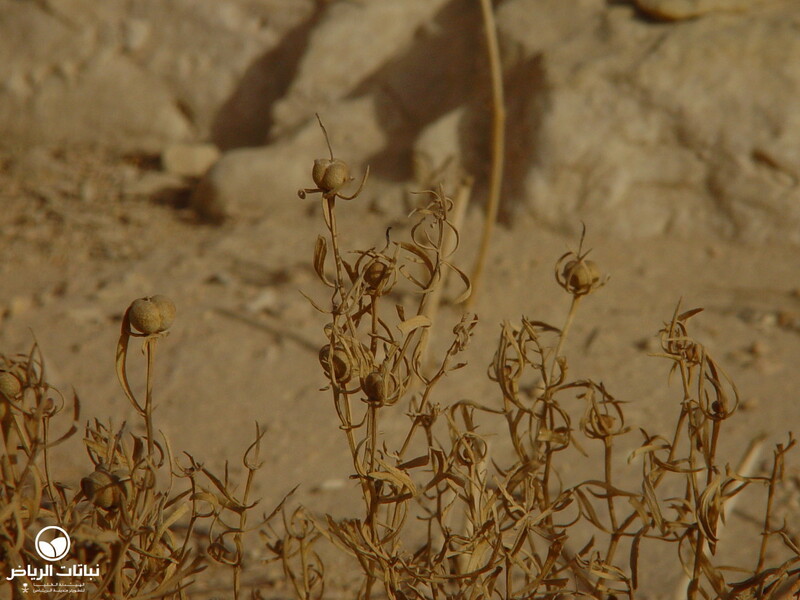 In the extensive landscape surrounding Tuwaiq Palace in the Diplomatic Quarter, some specimens can be found which were distributed by self-seeding.